Jonathan Hill, a young writer from Manchester, first came to my attention as a collaborator with Kath Middleton, who’ll feature later in this series, on Beyond a 100 Drabbles. A drabble, for those who don’t know, is a short story of exactly 100 words, and these two authors are unbelievably skilful at them. 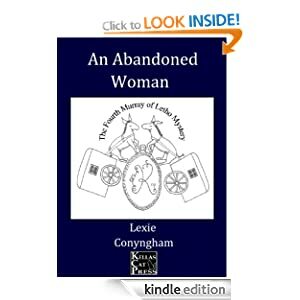 This collection is great fun – you could just dip into it but it's actually hard to resist turning the page to the next one, so I read it in a couple of sittings. Mind you, some of them do make you wonder about the authors! The stories are amusing and disturbing in equal quantities. It was a delight then to find that Hill and Middleton had worked together on another project. In Is it Her? they took a picture and each wrote a short story based on what they saw in it. The painting itself is atmospheric and compelling, begging to have its story told, so it is fascinating to read two possible stories by these two accomplished writers. Both are set around the Second World War, and both are love stories, but there the similarities end, and I’ll just talk about Hill’s here. It’s is a tense, brittle account where every word is weighed, beginning with a claustrophic family evening and, through war intervenes, barely allowing us out of that closeknit relationship which is not all it seems, even though we see into the minds of each of the characters in turn. 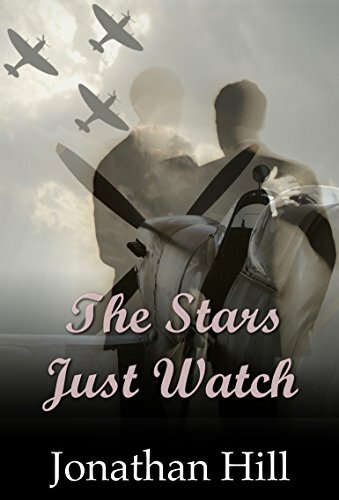 This story is now republished as The Stars Just Watch. Then I discovered that Hill has a definite turn for comedy, too. The Maureen short stories (for example, A Surprise for Maureen) are lovely bite-sized stories, many of them seasonal, about sherry glugging, probably rather lonely Maureen and her neighbours. Then there are the stories about David and his boyfriend, beginning with A Chistmas Outing. More human than the Maureen series, these tales are touching and very funny - poor David's family are truly awful! In the latest one, This crazy thing I call my Life, David’s life is as funny as ever, with a definite hint of sequels to come. The tenderness and vulnerability of first love is beautifully portrayed. And then we turn to Hill’s more serious work. Confession time: I haven’t had the courage to read his break-out book, FAG, set in a 1930s boys’ boarding school, but to judge by the reviews it is heart-scalding stuff. However, I have read another school-based book, Not Just a Boy. Here we see Hill at his best. This is a painfully true portrayal of what it is like to be a young teenager who doesn't quite fit in, for whatever reason. The dramatic beginning is not resolved until very near the end, but the tension builds slowly and inexorably through the book. Self-discovery and social survival are the main themes, but a strong element looks at those weird betrayals of which we are often guilty at that age, which we don't even understand but which tear at us for years. It is a terrifically written book, assuring us that Hill is a writer to watch. I hope we see a great deal more from him. From the sublime to the gorblimey, then - I'm wrestling with two chapters in Tomb for an Eagle but it still looks (from this angle) as if I might finish it on schedule. Lots of editing and beta reading will follow! The launch date, at the moment, is sometime in October - and the plan thereafter is a Hippolyta for Christmas and a Murray for Easter. We'll see!